Honda and Toyota haven’t recovered as quickly as the industry anticipated, but they’ve rebounded sooner than most Japanese manufacturers. In May, Honda’s sales jumped 48 percent from a year ago, while Toyota’s year-over-year sales climbed 89 percent. It’s another laid-back, lazy Saturday at the "Ziegler-rosa" — at least, as laid back as it gets around here. I’m grilling steaks on the deck above the pool. Yeah, I’ve got the smoke working, the corn just came off, and Debbie has the beans in the oven. We’ve got red wine, chips, queso and salsa on the umbrella table, and chef "Alpha Dawg" is working his magic with his secret hickory-smoked marinade. The pool is sparkling. Evidently, Debbie’s landscaping is paying off and the flowers are blooming. There’s a light breeze kicking up. Summer in Atlanta; it’s all good. The dark clouds on the horizon, however, tell me there’s a storm happening somewhere west of us. It’ll get here eventually. You can hear the rumble of thunder, so you know it’s got a little game. These things usually weaken, but we always keep a close eye. Here in Atlanta, we’re always in the path of the worst storms. So far, however, the storm doesn’t look threatening enough to scare the mobile home community. We’ve also lived through a few storms in our industry, and the worst of them would make anybody a little cautious and apprehensive. And that’s why I’m particularly concerned right now about the clouds on the industry’s horizon. 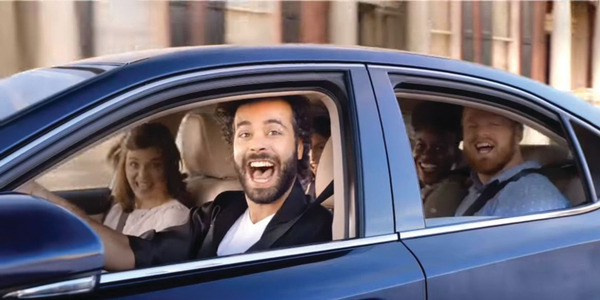 They’re threatening to derail the momentum of the automotive retail business. Right now, the party is on. 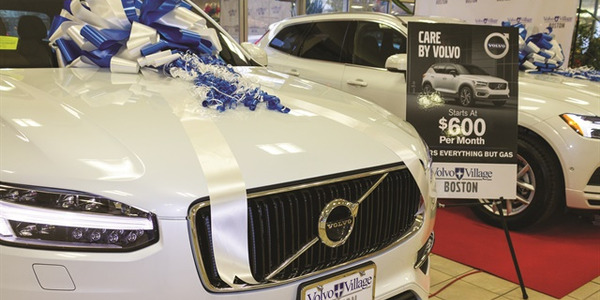 Cars are selling and credit is loosening up. Dealers I work with are extremely profitable again, and every analyst in the business predicts we will reach the 17 million-unit mark by or before 2015. Not to rain on this parade — God knows we’ve suffered enough the last four years — but there are a number of convergent factors brewing, both nationally and internationally, that might severely disrupt the fragile economy. Yes, it’s all sunshine, cool breezes and blooming flowers in the car business, but there’s thunder on the distant horizon. It might get here, it might not, but we need to be aware and prepared. A recent Reuters headline read: "Ford revising 5-year business outlook as Europe woes mount." The article talked about how Ford expects to lose between $500 and $600 million in Europe this year alone. And that’s just one manufacturer. From the looks of things, Europe is going to crash harder than we did in 2008. Ben Bernanke, Federal Reserve chairman and one of the administration’s chief spokes-mannequins, says the Fed has been tracking the crisis there, describing it as posing "significant risks" to the U.S. recovery. Those of you who have followed my articles know I’ve written about this many times. You also know I’m neither an alarmist nor a wide-eyed optimist, but, like Jack Webb used to say on "Dragnet," I’m all about "Just the facts." And the facts are that the European crisis will have a three-pronged effect on us. First, some European countries have cranked up social entitlement benefits to irresponsible levels — most notably Greece and Spain, where voters have no intention of giving up anything to restore balance. They are hooked on government-supported entitlements, benefits and free lunches they cannot afford. And now they can’t borrow or print enough money to cover it. Now the rest of the world is preparing to bail them out (again) as they enjoy their annual three-month vacations, short work weeks, and retirement at 40. Drink wine and enjoy life, it’s all good, right? Then there’s China. It’s slowing down and will continue to slow down until it catches up with itself. Everyone thinks China is going to be the next great market. Well, it is, sort of. Now we"‘re hearing China sitting on 60- and 90-day vehicle supplies in their showrooms and they’re telling manufacturers to slow down production. And it’s not the dealers saying this, it’s the Chinese government. The bloom appears to be off of that rose, if only temporarily. Lastly, five years ago, analysts were directing investors to the emerging economies of Brazil, Russia, India, China, collectively referred to as "BRIC." Well, with the possible exception of China, BRIC momentum has stalled significantly. The fact is, BRIC was always just smoke and mirrors siphoning off of the U.S. economy. At worst, this mess could be the path the U.S. economy will follow if we’re not careful. Our country’s economy is not totally out of the woods: Unemployment is still a problem and the stock market could take a turn for the worse at any time. Now we have these international problems to worry about. Wisconsin Governor Scott Walker made national headlines in early June after prevailing in a recall vote for his gubernatorial seat. Last week, the unsuccessful attempt to recall Wisconsin Gov. 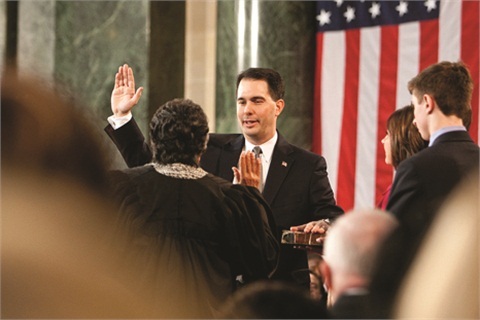 Scott Walker may have signaled the beginning of a fiscal return to sanity here in the United States, as voters there overwhelmingly support their governor’s efforts to rein in the unions and state entitlements. Every speaker, writer and industry analyst I am seeing, reading or hearing lately is echoing a common theme: The 2012 presidential election is going to be a dogfight on these issues, and the outcome is going to be a complete game-changer. I don’t know about you, but I feel like the fact that Walker prevailed by a wider margin of votes than he was elected with more than a year ago means there’s a growing swell of resentment toward entitlements. And just think about all the money those unions dumped into their losing bid to unseat Walker. To be fair, Republicans also invested heavily. Could this be the death knell for unionism in general? "Did we bail out GM so that it could become a Chinese Company?" is the question posed by this video, which was posted on YouTube on May 4. The video has since been called "one-sided" and "misleading." 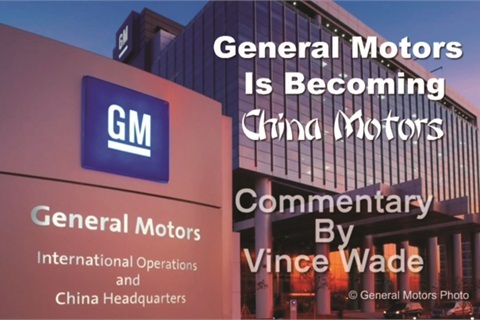 You should search YouTube for videos of General Motors’ financial involvement with China. I am more concerned that GM is admittedly manufacturing more than 70 percent of its cars and trucks outside the United States, has 11 joint ventures with China and is committing to increased investment and technology exchange. I’ll let that one play out. Just watch those videos and come to your own conclusion. What I will talk about is the absurd requirement GM has pushed on its dealers. Apparently, the automaker wants its dealers to attend Walt Disney training classes. The company has literally gone Goofy, but its dealers aren’t laughing. In fact, judging by the numerous conversations I’ve had with GM dealers, they’re pissed off. Look, there’s nothing wrong with Disney training. I am not criticizing it in any way. What I am criticizing is the mandatory part, and the fact that GM isn’t even close to having its priorities in order. Look for General Motors to be a major campaign issue from now until the presidential election in November. Republican candidate Mitt Romney has promised to sell off the government’s 26 percent stake in the company if he’s elected. What you have to keep in mind is that selling that stake would result in several billions of dollars in real loss for the treasury. Romney has repeatedly said it is a loss we’ve already taken because of the negative stock value differential since the initial public offering. I have no ax to grind here because I am not particularly impressed or excited about either candidate. Like I’ve written before, Richard Simmons running as an independent would be a better choice. Politics aside, the government has no business in our business or any other private enterprise. So I agree with Romney that we should take our short losses now and get out of GM. It’s sort of like being too high in a used car and waiting for its value to increase. Romney also plans, if elected, to reverse Obama’s 2025 fuel economy initiatives, as he believes the new requirements are too costly, unattainable and unnecessary. Romney also is a critic of the government mandating and subsidizing electric-vehicle technology. He says the government is trying to force the market to adopt a technology Americans have no interest in. The candidates are diametrically opposed on every one of these issues. So, it appears there will be a lot of issues taking center stage during their campaigns that will directly impact the automobile business, the unions, future technologies and the role government will play in private enterprise. The return of Honda and Toyota was both predictable and inevitable. The only question their dealers are asking is: "Why in the hell did it take so long?" Most of us were expecting the return of these two companies to happen last November or December, especially Toyota. It rebounded quicker and returned to normal production levels sooner than most Japanese manufacturers. Well, all that is history now. In May, Honda scored a 48 percent sales increase vs. May 2011, while Toyota shot up by 89 percent and displaced Chevrolet as the No. 2 brand in the U.S. market, trailing only Ford. The demand for the Ford Fusion drastically exceeded what the automaker produced last year. Ford Motor Co.’s Mark Fields vows to increase production of key models in upcoming quarters to meet demand. Speaking of Ford, the carmaker is still struggling with production planning problems. My feeling is it is being way too cautious and is suffering as a result. Now dealers are screaming for hot sellers like the Fusion and Focus, and they’re losing business to competing brands because of their short supply. Mark Fields, president of the Americas for Ford Motor Co., promised the company would ramp up production in the fourth quarter to meet or exceed the demand rather than come up short like they did in the first and second quarters. I saw a poster recently with a picture of a woman standing next to her car. The caption, in all caps, read: "BAD CREDIT." Then, in small letters, the caption continued: "… is the only thing that will make you pose and smile in front of a purple PT Cruiser." Just when you thought it was safe to go back into the water, subprime is back. This will be great news for Greg Goebel’s 2012 Subprime Conference, which is one of four events taking place during F&I and Showroom magazine’s Industry Summit. The conference is being held Sept. 10-12 at Paris Las Vegas. According to CNN Money and Experian Automotive, lenders and credit unions are increasingly buying deeper and approving customers with past credit issues and lower credit scores. We’ve all suffered through this economic cycle, but there are a lot of deserving people out there who are back on their feet and back in the market. They need the resources to buy a good car, so the pickup is welcomed. Still, bad credit is what brought the world to its knees economically. Remember, it was the subprime mortgage debacle that started the swirl as the world economy was flushed down the toilet in 2008. 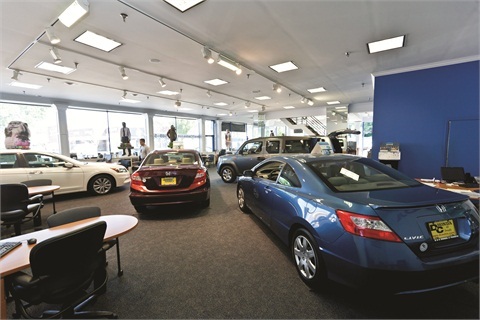 In the car business, prolific abuse of subprime can turn the entire industry upside down. Subprime credit officially starts at credit scores below 680, but I do work with some dealerships where a 680 score equates to a top-of-the-line solid citizen. Heck, I am seeing deals approved on scores in the 400s — with a proper down payment, of course. I’ve been hearing alarm bells from several dealers whose brands have traditionally dealt heavily in subprime, including Chrysler and Dodge. They say their salespeople have become addicted to the secondary finance customer. Some of them are at the point where they’re intimidated by customers with good credit because they don’t know how to deal with them. Unfortunately, we’ll have to wait and see just how far lenders and manufacturers are willing to go with subprime. So far, I’ve put down two snifters of vintage Louis XII Cognac writing this column. Yeah, my traditional ranting is missing from this month’s column, but that’s because things are relatively calm and stable right now. In fact, it’s going a little too well, don’t you think? Believe it or not, I think I just heard thunder rumbling in the distance somewhere.